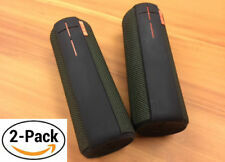 New - open box UE Wonderboom speaker. Speaker has been turned on and tested, perfect working condition. Speaker is in like-new condition. Original charging cable is included, cable has never been opened or used. Ships it quickly! 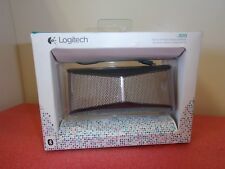 Logitech x300. Manufacturer: Logitech. Stereo - Speaker. The speaker is engineered for wide range sound. The drivers are uniquely angled resulting in a more expansive sound spectrum. Wireless Freedom. UE BOOM has a versatile, go anywhere shape that makes it as spontaneous as you. And with the convenient D-ring, you can clip it to just about anything. UE BOOM brings the music, you bring the friends. Type: Portable Speaker System. Features: Bluetooth Wireless. Wireless Technology: Bluetooth. Signs of wear can include aesthetic issues such as scratches, and discoloration. Condition: Used: Very Good. Only 150mm (5.9 in. ). No cords, no docks, no worries. Take your music anywhere. Wirelessly connect and play music from your Bluetooth-enabled smartphone, tablet or laptop up to 30 feet away from the speaker. Trending at C $46.80eBay determines this price through a machine-learned model of the product's sale prices within the last 90 days.